Nations Press entertainment I've Been Doing It Wrong My Whole Life,Here's How To Peel A Potato In Just 1 Second! 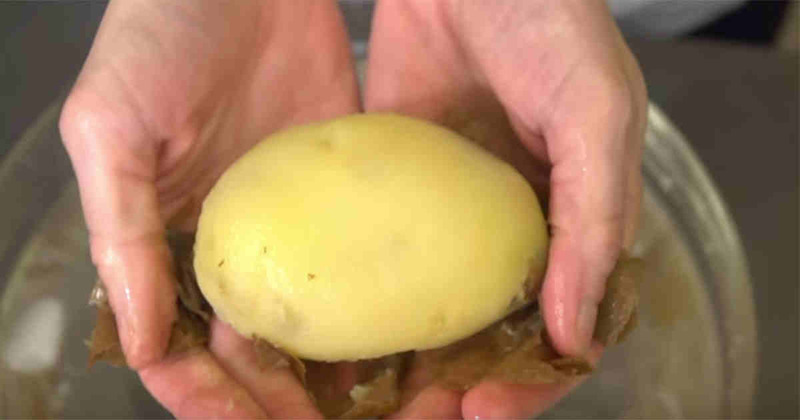 I've Been Doing It Wrong My Whole Life,Here's How To Peel A Potato In Just 1 Second! SPONSORED LINKS Many of us tend to grab the potato peeler and stand in front of the sink when it's time to prepare potatoes for food. But after seeing this, I will never do that again. I've discovered a trick on how to remove potato skins in just seconds - and without needing to grab your potato peeler from the kitchen drawer. It's as simple as you can imagine - simply boil the potato a few minutes, then slip into ice cold water for 5-10 seconds. The next step is what might surprise - especially how easy it is! Watch the video below for full instructions - you won't regret it.